She offers a one-hour tarot reading for $60 plus tax and half-hour tarot readings for $30 by appointment every day of the week! She also does 10 minute – four card tarot readings for $15 plus tax for walk-ins when available. All payment methods are available (cash, debit, credit). She is located at 138 Newcastle Boulevard in the square in Newcastle, New Brunswick. You can record the session and take notes. You are welcome to ask questions during the reading too! Please visit the Mystical Horizons Astrology Store page on Facebook to read over 60+ fantastic reviews of Sasha-Niccole! She had done over 800+ readings in the past year alone! DISCLAIMER: Tarot reading is subject to interpretation and should not be taken as absolute. A tarot reading is never 100% accurate. All tarot readings given by me are for entertainment purposes only, and no guarantee can be given as to the accuracy of a reading. A tarot reading does not replace professional medical/legal/business opinion and advice. It will not force you to follow a particular course of action, or attempt to exert any form of control over your free-will and common sense. The contents of a tarot reading are not legally binding. 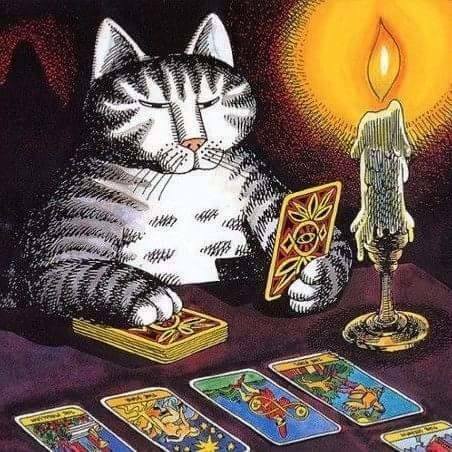 Any decisions made, or actions taken by you as a result of your tarot reading are your sole responsibility and have not been forced upon you, by me, your tarot reader. I assume no legal liability for any damages, losses, or other consequences of any client decisions, subsequent to, or based on, my tarot readings. Please use your own common sense and judgment at all times. It is only with the complete understanding and acceptance of the above that your reading will take place. READERS AND READINGS: Mystical Horizons Astrology Store and Sasha-Niccole Moulton do not claim any affiliation with people who have taken her class – How To Read Tarot Cards. Sasha-Niccole Moulton teaches the How To Read Tarot Cards course, which only teaches students the basics of how to read the actual tarot cards. This course does not show or give her students the tools to be a psychic medium. How her students use this course and how they interpret the information is of their own accord. Sasha-Niccole Moulton is not responsible for any readings done on people or the information that is given during these readings or their accuracy. I AM NOT LIABLE: I will not be held liable if the future depicted in the tarot card reading has not come to pass, or if it has. The future is ever changing, a single action can shift everything that could occur and so readings are only a glimpse at a current future that could change at any moment; because of this any number of futures exist and I cannot be held accountable if the one depicted did not come to pass. CONFIDENTIALITY: All information exchanged between my client and myself during readings and/or emails shall remain confidential. No personal information shall be passed on to anyone, including third parties. I care very much about keeping everyone involved in this business safe and looked after. I will not discriminate against or be rude towards any client due to their questions. Anything that you believe is worth consulting me about shall be done with no hesitation. If you have any questions or concerns, you may email me at moultonsasha@hotmail.com. Love & Light!